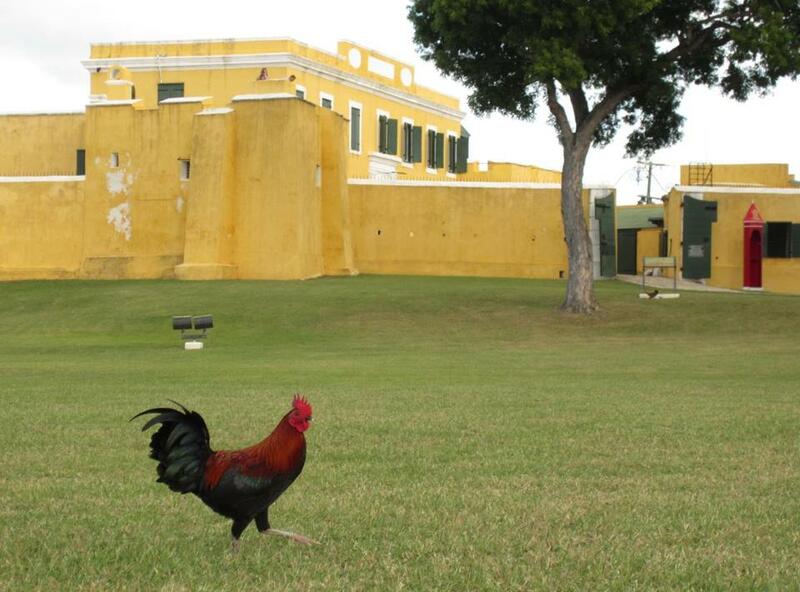 A rooster wandered the grounds of Fort Christiansvaern in Cristiansted, built in 1738. 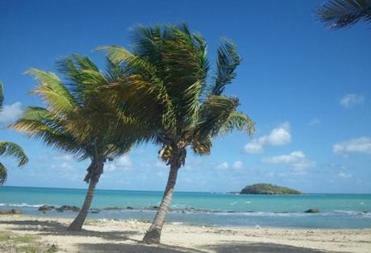 CHRISTIANSTED, St. Croix, US Virgin Islands — Even before I was able to see daylight’s gift — a sea shimmering in a crayon box of blues from turquoise to midnight — my hands told me I’d made it to the Caribbean the night before, their rough, wrinkled winter skin showing just a hint of the smoothness to come. My partner, Lina, and I decided to visit the largest of the US Virgin Islands (84 square miles) because it offered a little bit of everything: plentiful beaches, green hills, lively town centers, and historic sites. St. Croix has the reputation of being the poor relation to glitzier St. Thomas and lusher St. John, but we found a rich culture here, born of the island’s Danish past, its once-mighty sugar trade, and its cordial Cruzans, as the native islanders are called. Add to that pristine islands to visit, water sports, and even a rain forest to explore and you can see why we were hard- pressed to squeeze everything into a week’s stay last month. 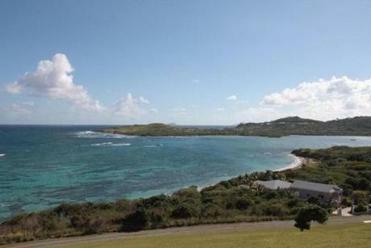 If you go to St. Croix. The beach at Tamarind Reef Resort with Green Cay National Wildlife Refuge just off the coast.